Do they meet somewhere ? Change, Positive change, Improvement, Process, Continuous Improvement, Business Process Improvement, Renewal, Continual Renewal, Regeneration Therapy, …….. Complexity, Simplicity, Variety, Variety attenuation, Requisite variety, 🙂 this gets interesting. Metrics, Valuation, at 50 billion, FB is more valuable than Boeing! 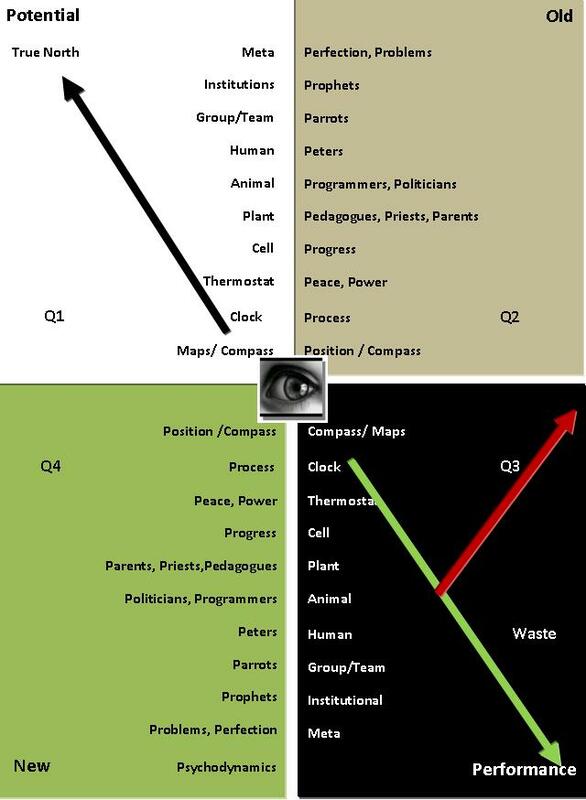 Positive, Negative, all quadrants, all levels, …..
Where do all these meet? Is there a common ground, somewhere, sometime ? How do we wade through all this semantic swamp, do not miss the woods for the trees, make sense of the babble that lead to the crash of the tower of Babel, connect the earth and the sky ? Built to last or built to crash? Finally the east meets west after west meeting the east. Is it going to be any better ? Who can afford the luxury of a prolonged discussion when the quarterly is waiting, retain the hope of reaching the common ground ? We could do it in B- School when we were students and teachers. I don’t remember to have arrived at any common ground. We made a lot of noise and picked up a lot of jargon and dumped them as soon as we started connecting with the ground realities. Can we have a one page brief of all of this and those other buzzwords yet to come? We might kill the noise and hope to get in touch with the silence, for a moment. This is what the visual is. We developed it in 1990. Nothing has changed except that the noise is louder.